FULLY CATERED in summer. 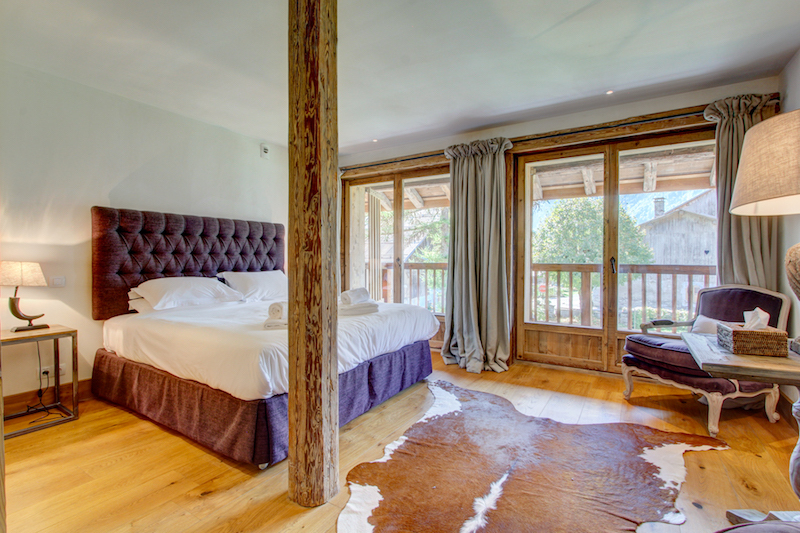 Ferme St Christophe is our flagship chalet and sets new levels of luxury in Samoens. The property was originally constructed in 1810 but only recently brought back to it’s former glory after a 3 year renovation. Please note between Sun 15 – Sat 21 September 2019 we are running a Residential Writing Course with Sara Maitland. Please click here for more information. 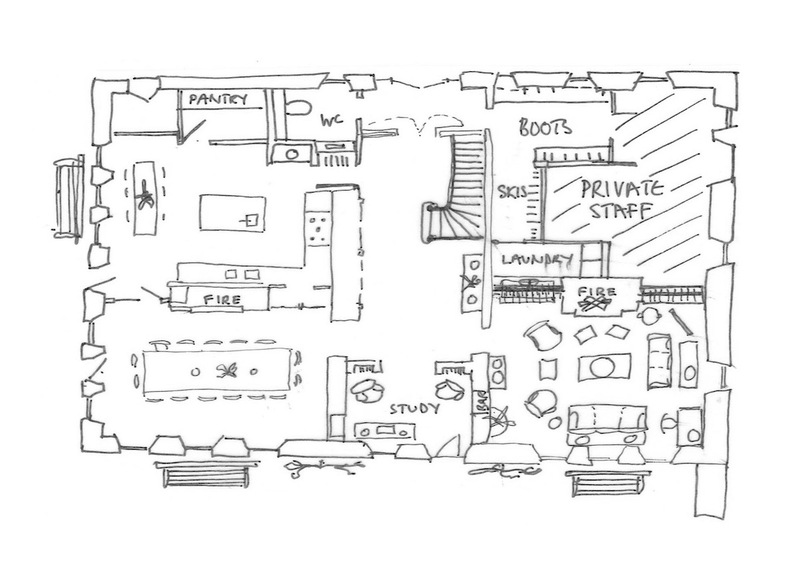 The chalet is hugely spacious with over 500m2 of internal floor space. 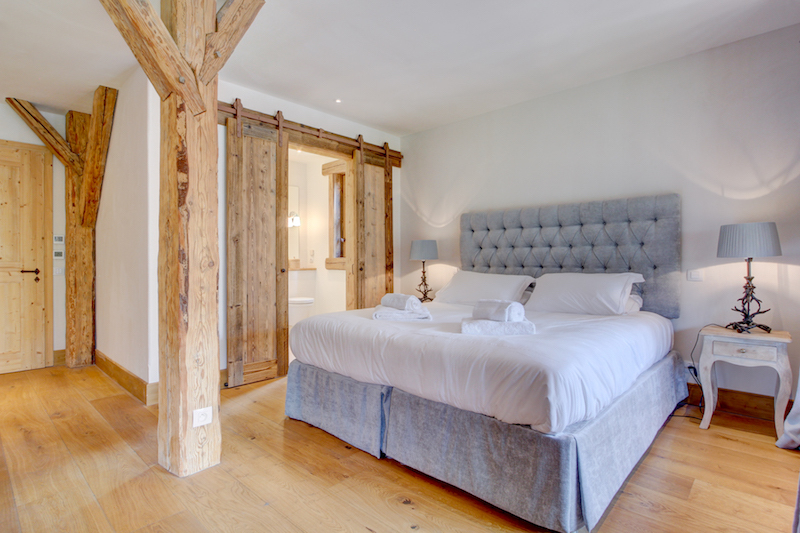 Ferme St Christophe can sleep up to 15 people in 8 ensuite bedrooms. 4 of the bedrooms have beautiful south facing views with balconies. Each bedroom has luxurious wool and cashmere mattresses made by award the winning Harrison and Spink. 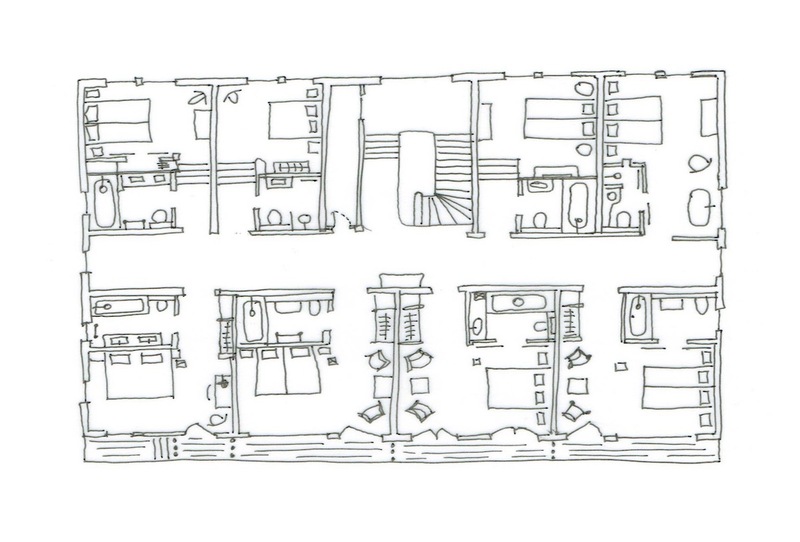 6 of the bedrooms can be configured as twins or super king size doubles. 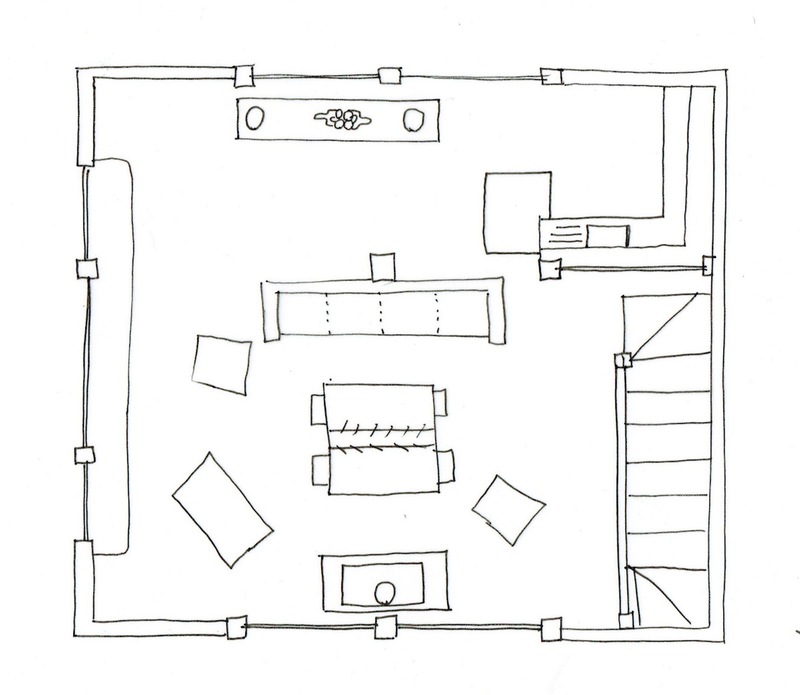 2 of the bedrooms can only be configured as doubles. All bathrooms have a nice range of Cole and Lewis toiletries, including shampoo, conditioner and shower gel, along with mirror demister pads. Ferme St Christophe has complimentary super fast WiFi throughout the property. The ground floor comprises a large Sitting Room complete with an extensive library, iPod docking station and an open fireplace. For those wishing to watch an evening movie then a large flat screen TV can appear at the touch of a button! The Bureau lies adjacent to the Living Area and offers a perfect retreat to enjoy a board game or curl up and read a book. The Dining Room has an enormous oak table with stunning views over the garden looking southwards out onto the mountains. The Barn lies across the other side of the garden. Beautifully restored only a couple of years ago, during the summer the top floor of this space hosts the morning and evening yoga sessions. When the sun is shining the daily yoga sessions can take place in the enormous garden. Separate to The Barn is the Mazot Spa with it’s traditional Swedish Sauna large enough for 16 people. There is also an outdoor hot tub to soak those aching muscles after a day in the mountains. There is a large boot room that can store a number of both mountain and road bikes along with any other additional outdoor equipment. Ferme St Christophe is just a 10 minute walk from the centre of Samoens allowing guests to enjoy all the activities that this beautiful town has to offer. The Grand Massif Express cable car is also open during the summer allowing quick access to some of the best high altitude walking in the French Alps. Book exclusive occupancy at Chalet Mautalent or Chalet Samoens for 13+ guests or The Grange for 12+ guests and receive 1 free space! The Tasty Unlimited Drinks Service: Our house wines, beers and soft drinks are included in the price that you pay. This service is not just limited to meal times and can be enjoyed throughout the day. The above prices are per person per week based on 2 people sharing an ensuite room fully catered (breakfast, afternoon tea and dinner). The prices also include our house wines, beer and soft drinks. This is an unlimited service not just confined to meal times. All drinks are included for the duration of the stay - we do not have honesty bars where guests are required to pay a supplementary cost. There is an additional charge of £50 per person for guests staying in bedrooms with balconies + Bedroom 2 which has a free standing bath. Children aged under 12 receive a 10% discount. Babies in cots – £100 surcharge. Check in: 3pm. Check out: 10am. We can store guest baggage if arriving before 3pm or departing after 10am. However please note it is not possible to be in the chalet before and after these times. Our Yoga prices include fully catered accommodation and our full Yoga Package. Please click here for more details. Please note that it is possible to combine the Yoga Package and Self-Guided Walking Package. Please contact us for more more details and prices. Our Walking prices include fully catered accommodation and our full Self-Guided Walking Package. Please click here for more details. All drinks (wine, beer + soft drinks). This is an unlimited service not just confined to meal times. We do not have honesty bars where guests are required to pay a supplementary cost. 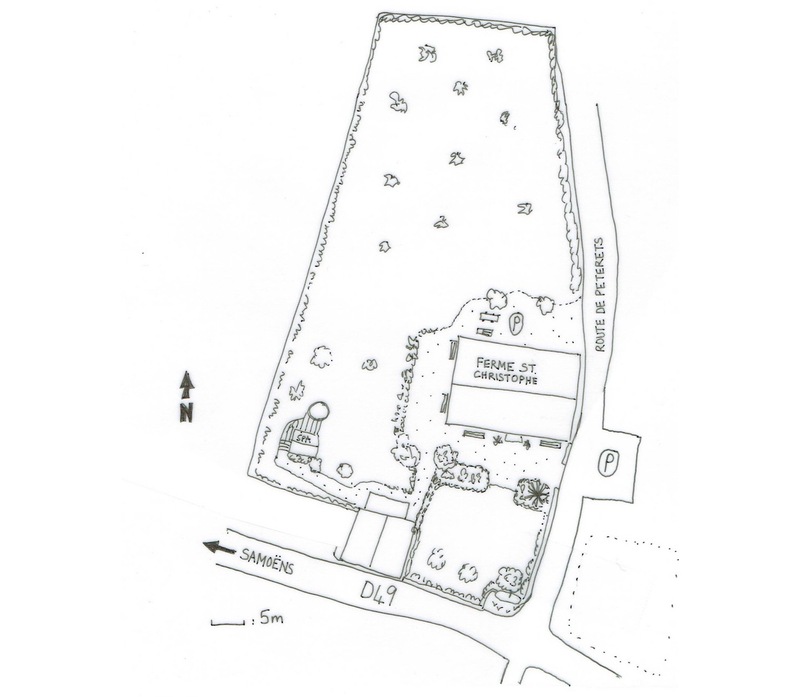 Help organising summer activities – rafting, climbing, tennis, golf etc. erme St Christophe is located in the quiet Vallon area of Samoens, just a 10 minute stroll from the centre of town. The free ski bus stop is 100 metres from the chalet, and guests can use the private driver service between 08:00 – 10:00 and 15:00 – 19:00.